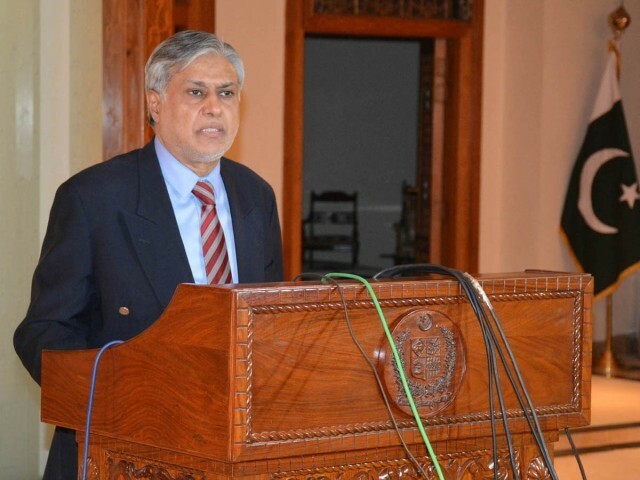 Finance Minister Senator Mohammad Ishaq Dar Saturday urged for speeding up the divestment and execution of Pakistan Stock Exchange keeping in view the best national interest and development of the country’s capital market. The minister made this reiteration during a meeting with high authorities of Securities and Exchange Commission of Pakistan (SECP) and PSX Chairman. The SECP Chairman along with PSX Chairman Muneer Kamal presented an update to the minister on the progress made with respect to the divestment of shares of PSX. The minister was briefed on expression of interest (EOIs) received from various national and international prospective buyers in relation to divestment of 40% shares of the PSX lying in the blocked account to be sold to Strategic Investor(s) (SIs), and local financial institutions as required under the Stock Exchanges (Corporatisation, Demutualisation and Integration) Act, 2012. Recently, the Divestment Committee of PSX’s shareholders mandated to carry out the divestment had extended the timeline for submission of EOIs till August 15, 2016, in view of recent changes including British decision to exit from the European Union, Pakistan’s inclusion in MSCI emerging markets and various important reforms witnessed by our capital market. The SECP Chairman also briefed the Finance Minister on the progress made on draft Companies Bill, 2016. He apprised the minister regarding the extensive consultative process undertaken by the SECP on the advice of the minister and the quantum of feedback received from the general public, the professional bodies and the experts and the status of incorporation of the suggestions and the new concepts. The provisions added in draft Companies Bill were discussed in detail by the Finance Minister with a team of SECP and appreciated the work done so far by the Commission. Especially the concepts including exemptions to companies with lesser capital and inactive companies regarding audit and filing requirements were appreciated by him. The minister expressed the hope that these concepts will go a long way for documentation of economy and advised to place updated draft of the draft Bill again on a website for further feedback by stakeholders. He advised the SECP Chairmen to also add necessary provisions in draft Bill to facilitate agriculture sector growth and the regulation of real estate business. He further advised strengthening the law to deal with the situation arising with reference to off shore investments issues to prevent frauds and money laundering in the corporate sector. The Commission is to maintain a global register of beneficial ownership in this respect. He advised that in the changing economic land scape in the back drop of CPEC and the establishment of free zones be kept in view to attract maximum investment in the Country and necessary provisions to support such endeavours may be provided in the new draft company law.